Providing you the best range of bopp bags, bopp wheat bag, bopp laminated atta bag, flour laminated bags, flour bags and food packaging bag with effective & timely delivery. We have carved a niche by offering a wide assortment of BOPP Poultry Feed Bags. 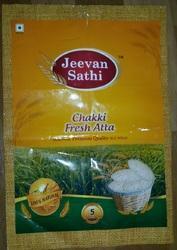 Offered poultry feed bags are comes in numerous sizes & color options as per the needs of customers. Our workforce manufactured poultry feed bags using top notch material & contemporary techniques in accordance with the set norms of market. 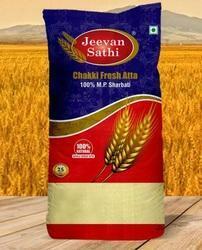 These poultry feed bags are quality checked on well-defined parameters for ensuring its flawlessness. 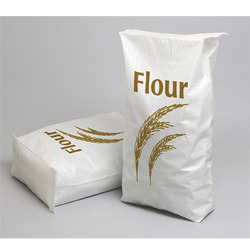 We are involved in offering Flour Laminated Bags. This bag is manufactured using best quality raw material with the aid of latest technology under the direction of deft professionals. Our offered bag is available in a wide variety of sizes, colors and shapes. Apart from this, our offered bag can be availed by clients at highly reasonable price. 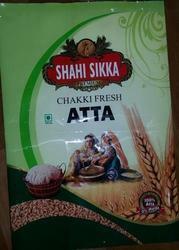 we have been offering a qualitative assortment of Food Packaging Bag. It is processed with utmost precision by making use of top grade material, which assures its quality and long lasting flawlessness at user’s end. In addition to this, our respected clients can avail offered range of Food Packaging Bag from us at most reasonable price range. 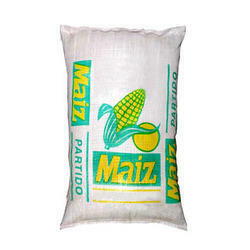 we are involved in offering Maize Flour Bags. This bag is manufactured using best quality raw material with the aid of latest technology under the direction of deft professionals. Our offered bag is available in a wide variety of sizes, colors and shapes. Apart from this, our offered bag can be availed by clients at highly reasonable price.